FOFOA has asked for our support — let’s do our best! I will be requesting an “absentee ballot,” as he calls it, and would encourage anyone who is not familiar with his blog to go over and do some reading. You will be glad you did! I have a lot to thank FOFOA for. I found FOFOA’s blog the day after buying my first gold coin. The first post I read was “Confiscation anatomy: a different view”. Before getting to the end of the post I realized that I had come across a most extraordinary thinker and writer. I then went on to read all of his other posts, some of them more than once. The Freegold concept that FOFOA has so compellingly written about is quite a titillating subject, not just because of the tantalizing prospect of gold at $50,000 per ounce, but because the topic is so simple and yet concomitantly so subtle and deep. This is certainly not something that you can fully master by reading only one of his posts. You have to read them all, and do a lot of thinking! Alternatively, just take his word for it and follow the instructions — you will be handsomely rewarded. Let’s get something straight: those who harp on about an ounce of gold buying a high-end suit have probably not fully understood the message of FOFOA. 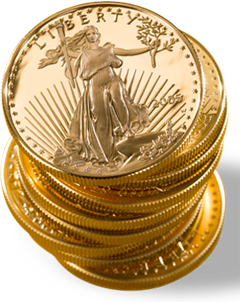 The concept of Freegold as I understand it has very little to do with compensating for inflation, and everything to do with gold being given its fair value — a value that was conferred to it by the free world, and which is becoming increasingly difficult to suppress artificially. One of the key concepts is that fiat money has been trusted to store value over the last century or so — something that would have appeared absolutely absurd and naïve to our ancestors! The result was that gold — the only true store of undeployed wealth — became marginalized, except of course by the minority of folks who know the deal. The price of gold is also maliciously suppressed by selling “paper gold,” and undoubtedly also with other more obscure means. Trusting fiat money to store value, with the concomitant semi-abandonment of gold, has created a gargantuan loophole — the sort of loophole that only appears once every few centuries. To benefit from this loophole all one has to do is buy some physical gold — ideally as much as possible, depending on how convincing you find this theory (but bear in mind that storing wealth as physical gold is the best option even if you completely reject Freegold theory). Fiat money has obfuscated our instinctive understanding of what constitutes wealth and what constitutes deception. It ought to be abundantly clear to even the most apathetic citizens by now that there is something terribly wrong with the economy and money of Western nations — something terribly, terribly wrong. The wealth purportedly associated with paper instruments is mostly a mirage. One is not as wealthy as paper documents claim — but there is an extraordinary opportunity to convert those paper documents and electronic digits into solid gold before the system goes “where gravity is taking it,” as FOFOA would say. I owe my appreciation of these concepts to FOFOA. As I wrote above, I purchased my first gold coin before finding FOFOA’s blog — the day before, in fact! But while I had an instinctive understanding that surplus wealth was best stored in the form of gold rather than fiat money, without FOFOA’s writings I would not have become aware of the larger issue of debt in the context of the revaluation of gold, which is the real “mother lode”, as FOFOA wrote! I would surely have continued to store excess wealth as gold, but there is no question that FOFOA’s writings had an effect on my thinking and therefore on my behavior. Specifically, I now give extraordinary value to solid gold, and as I have written in the past, I always weigh a discretionary expense against how much gold I am foregoing, which I’m sure you will agree is an incredibly healthy habit, especially when one is on a tight budget! On a more profound level, I now have a deeper, more sophisticated understanding of the concept of true wealth. FOFOA has clearly made a very real difference to many people, distributing vastly more value than those who are in a position of power and privilege — shame on them! Thank you, FOFOA; we all hope that you will keep writing at least until Freegold has well and truly emerged, so that we can all celebrate! P.S. I know for a fact that many people, despite being genuinely interested, simply do not fancy reading vast amounts of text. For what it’s worth, I suggest you read at least this one post by FOFOA, which, rightly or wrongly, I currently regard as the closest to an all-encompassing summary. The perspective FOFOA has outlined, and done so much to clarify, is the perspective of 'old money', those who have always been 'in the know', who have maintained their wealth for many generations, through many successive boom and bust cycles, with just this knowledge. FOFOA has given many of us 'shrimps' the opportunity to see and understand this other view, the opportunity to join this 'old money', and with it the chance to be in a position to make a positive contribution to a new world, after the imminent collapse of the debt-based structure. FOFOA actually inspired me to make my own blog. It will be nothing like this one, as I am not up to the task of analyzing such incredible topics as are discussed here, but I have been avidly into foreign coins (foreign to the US that is) for many years and thought I'd share some knowledge. I hope to explain the much more mundane (though exciting to me!) topic of the actual physical coins and notes themselves. Most people here who believe gold will go to $50,000 may not be interested in the numismatic/collecting aspect of gold, silver and paper money, but I will be writing about it if anyone cares to take a look. Using FOFOA's premise/hypothesis that governments would need to reatain 50% of their gold after paying debts puts the value of gold at 54,000 oz. per this article. Of course this assumes that central banks have not leased their gold, which will never be returned. Therefore if banks have 50% of stated gold that is not leased/sold (as per most estimates) the value then becomes 104,000 per oz. As I stated once before, get rid of your Yankee Dollars while they are still worth something. Buy Gold/donate to FOFOA.